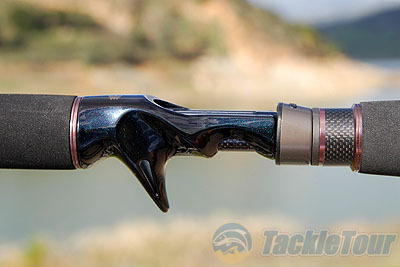 Introduction: Born in the backyard of the California Delta a new rod company introduces their line of application specific fishing rods. 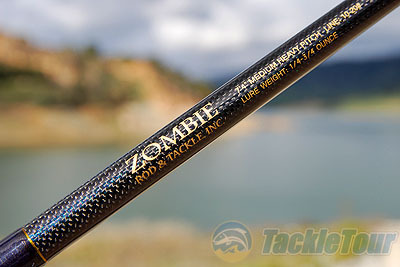 Zombie Rod & Tackle has roots in custom rod building and now brings a branded line of flipping and pitching rods to market, these rods definitely exhibit some enthusiast appeal and are designed for power fishing. Rise of the Zombie: The first time I heard the name of the company I did a double take just to make sure I heard it right. 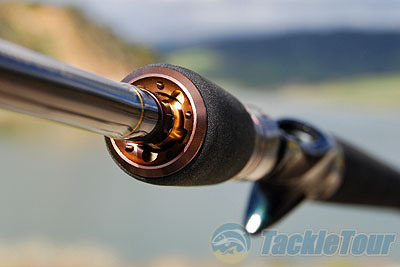 The company states their rods �will bring your senses back from the dead.� The company�s lineup is currently very specific with only four casting rods all designed for either flipping and pitching and one 7 foot light spinning rod. When I learned more about the rods from Justin Fearn, the creator of both the rods and the brand itself, my interest was definitely peaked. 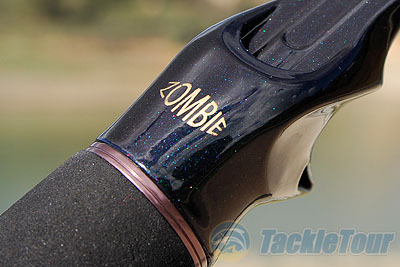 Here was a reasonably priced rod brand that definitely went the extra distance to create a unique look and feel with high quality metal components. The first question I asked Justin was where the name of his company originated from. �The name Zombie Rod & Tackle, started off as suggestion a friend made jokingly, but I thought it was a name that people will remember,� Justin explained. 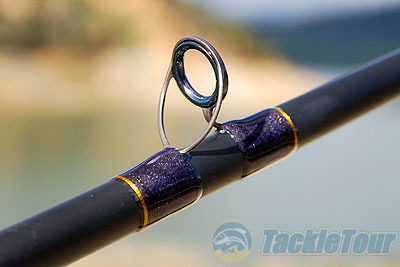 It makes sense that there are so many flipping and pitching rods as this is such a popular technique on the California Delta where anglers could dedicate a lifetime just to this power fishing technique. All of the casting rods are 7 feet or longer. They range from 7 feet even to 7 foot 10 inches and bear powers from medium to extra heavy. We talked to Justin about how he got started with the new series. �Zombie rods came about after many years of building custom rods. Although I enjoy building custom rods, I found myself building rods primarily for California Delta applications and the rods Delta anglers were looking for were all very similar. I found myself wanting to build rods with more attention to detail with regards to custom painted and machined components. The problem was it was cost prohibitive to build these type of rods one rod at a time. I needed to settle on models I built the most and go into mass production. So I put together samples and specifications and began talking with factories overseas. The primary assembly is in China, but there are components made in Korea, Japan and the USA used in the build and some finishing touches are made here in the USA. You could say it's an international collaboration,� Justin explained to us. All the rods currently make use of Toray blank material and the company liked the way that the blanks performed in both flipping and pitching applications. They are already working on other rods that may or may not make use of Toray materials, the bottom line is that they plan to make use of the material that best fits the application they are seeking to address.